In the recent years I only had one email account but since it is free, I started to create multiple addresses but now it is very difficult to manage all of them. If you are passing through such conditions then you can try my methods to resolve this issue. here are some solutions that will help you check for new mail across all your web email accounts and will provide central system of mail checking where you don’t need to enter into individual accounts. You can forward all of your emails from old accounts to new accounts. There are some software’s that can help you in this way. Using these software’s you don’t need to configure the settings. All the settings are pre-installed. You just need to enter your email addresses. Using web browsers there are two services one is Gmail and other is Nutshell Mail. The Gmail includes Mail Fetcher feature that help to download messages from five different email accounts. In this way your all emails are centralized and you get all the updates from different mails into one inbox. 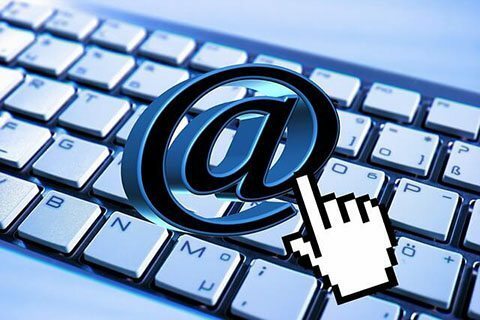 You can add any type of email address like Hotmail, Yahoo! or any other Gmail account. Using Google App of Gmail you can forward all incoming messages to another email accounts. You don’t need to check every email separately from differ location or through different browsers. Mails from those accounts may go to spam folder. You need to check all of your filter folders for best results. It’s new service and just launched few months back. But it meets all requirements that any other email company have. Let’s describe it. Nutshell Mail is a web-based service that will monitor all your secondary email addresses in the background and sends daily, weekly email digest to your main account. This service looks good as it’s very comfortable for office places. You can also configure your email and it Nutshell Mail will send you screenshots after every specific time. You can add emails from Google, Yahoo and Bing. You can use Microsoft Office Outlook for this purpose. You just need to enter your email addresses and passwords and it will automatically login to your account. After logging in you need to configure your setting. One thing you must remember that those messages which directly come to your outlook account will not be shown in your inbox in web version mood and if you delete any of the message that message will be automatically deleted from your original inbox account. There are also other software’s provided by different companies, they check mails and manage different accounts. They are not free of cost like Microsoft outlook. But they have good options. These are some tips for business users. They can manage all of their accounts in same place. This will definitely save their time and money and also lead in better understanding.